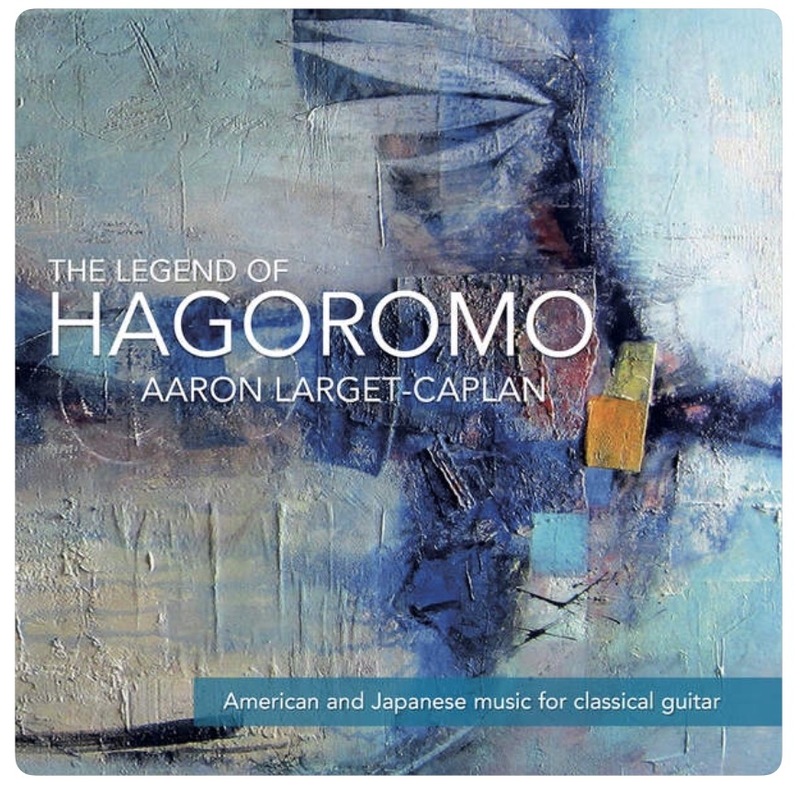 Today we’d like to introduce you to Aaron Larget-Caplan. Thanks for sharing your story with us Aaron. So, let’s start at the beginning and we can move on from there. I started playing electric guitar when I was 11; I wanted to be a rock star. 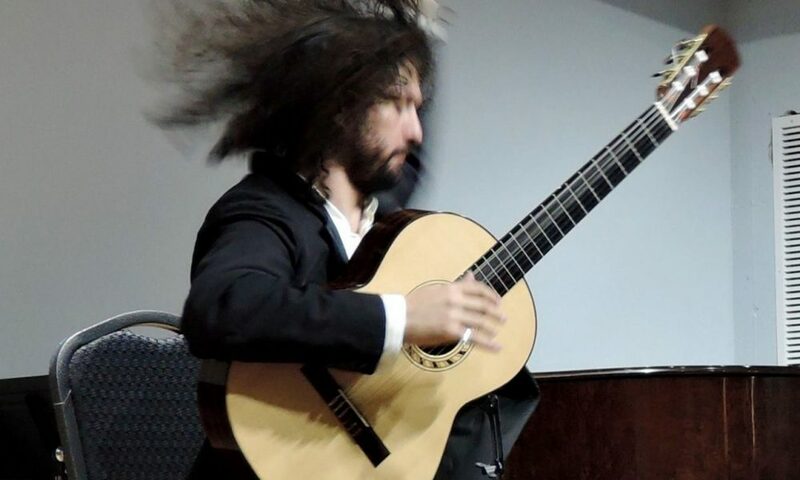 I was 16 and sitting in my high school Spanish class in the suburbs of Denver, when I first heard and saw the classical guitar via a video of Andres Segovia. He was playing ‘Asturias’, the theme of which The Doors used in their song ‘Spanish Caravan’. I was smitten and, like that, I fell down the rabbit hole of music. I did not come from a musical family, so professionally it was a challenge as I had no contacts and everything was new to me: from booking and contracts, to repertoire, practice habits, and what I needed emotionally and as a working professional. That said, I was well aware of this and did what I could to shore-up my weaknesses. I also used many of the skills I learned from non-musical jobs, sports, and speech and debate, which I excelled in, to give me guidance. Patience is a skill I am still refining. 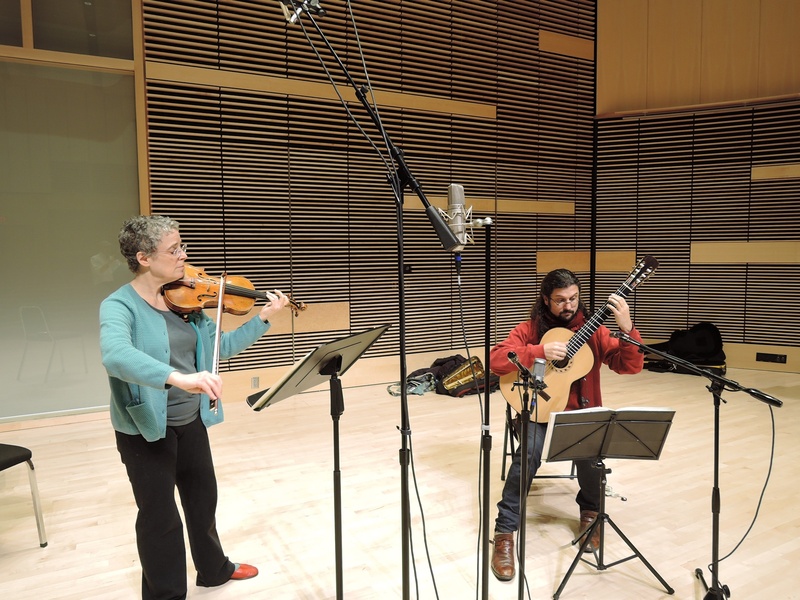 The biggest challenge is dealing with people’s pre-conceptions of classical music and classical guitar. Many outside of classical music think of it as only the stale music heard on the radio during rush hour traffic, but are shocked and happily surprised when they come to a concert of mine. 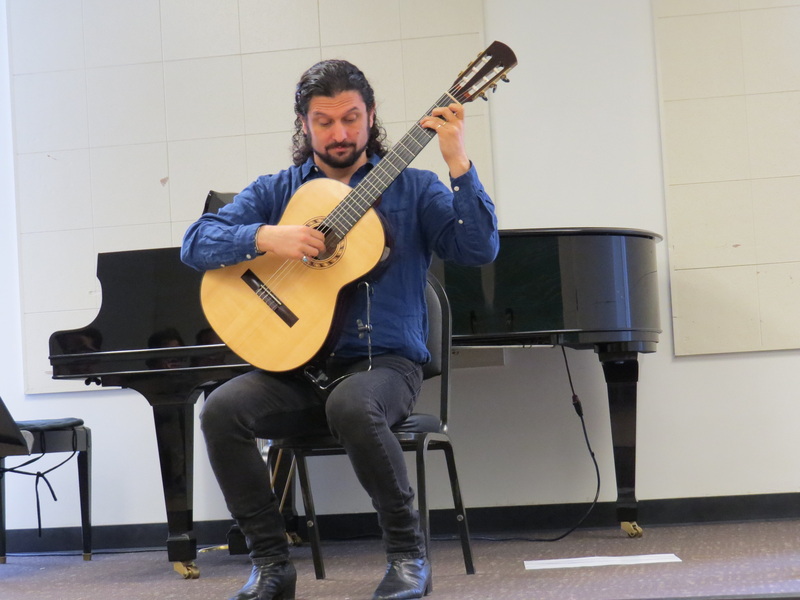 Within the classical music community the guitar is still considered an outsider, as the instrument is not considered part of the classical orchestra, so part of my daily challenges is working with skeptical musicians and promoters. Thankfully, many are open minded and see me as a professional musician, so we create great music together. Lastly, the music world is changing constantly. Making money from recordings is much more difficult with the very limited amount that streaming pays, but at the same time there are so many opportunities. There is a road, whether it is smooth or bumpy is irrelevant. There are many roads. We’d like to know more about your business. As an independent musician I wear many hats: touring, recording and performing artist, booking agent, teacher, arranger and educator. 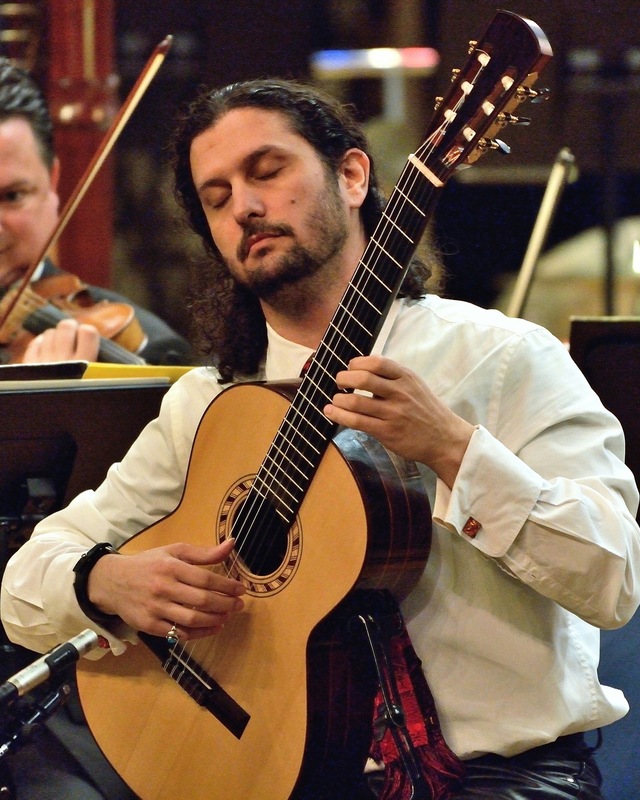 As an arranger I often rewrite music not written for guitar for the instrument; everything from music by J.S. Bach, French and Spanish composers to songs of Bernstein. I am very pleased to have my arrangements of John Cage recently published by the esteemed publisher Edition Peters. 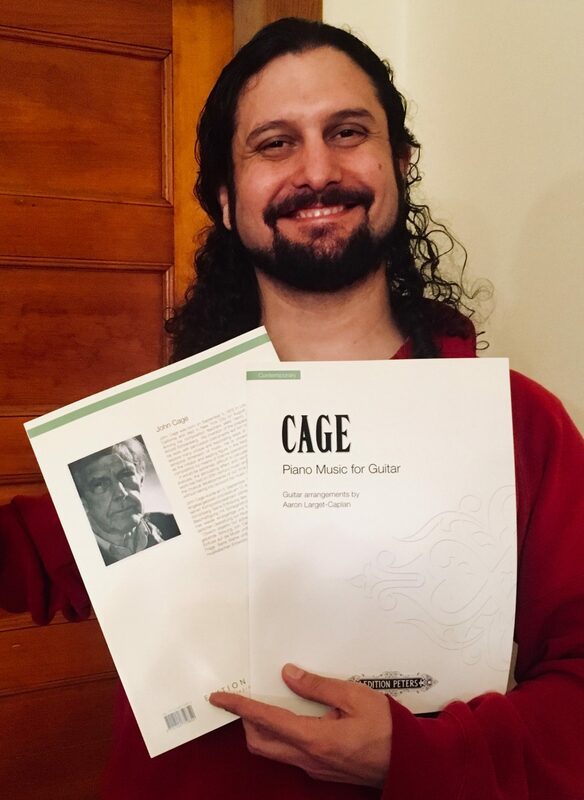 These are the first arrangements for guitar of the music of Cage to be officially sanctioned, and a CD of the music will be out in Fall 2018 on the UK label Stone Records, for which I am the first American and guitarist to be featured on the label. I very much enjoy performing and connecting with my audiences. My concerts are filled with stories, and as I perform a lot of new music I take great effort to find ways to relate the music to the lives of the listeners. This effort, in part, comes from my years of introducing classical music into school and community settings through Art Enrichment programs and Young People’s concerts. 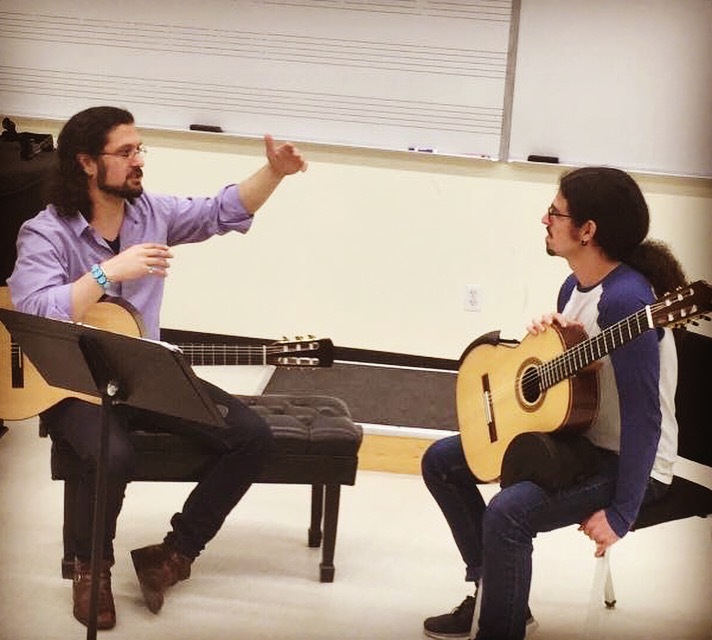 As a guitar instructor, I am on faculty at UMass Boston and formerly the Boston Conservatory. I also teach those who desire to learn privately out of my Dorchester residence. 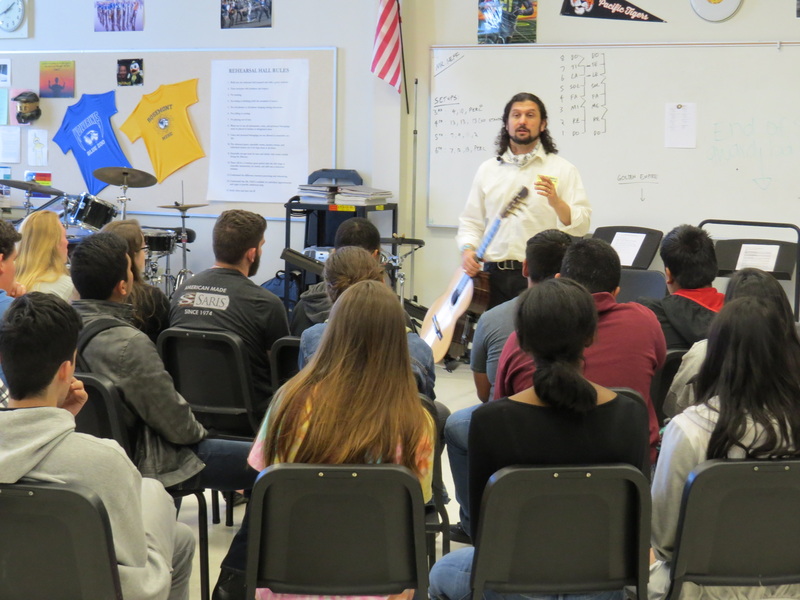 I work with many levels of students on the physics of playing, learning the basics to advanced techniques, as well as interpretation and all-around musical skills. I think I am also known for my positive attitude towards the importance of the Arts, my love of music and the guitar, good espresso and great hair, Gotta know how to flip it! I have found a few people who believe in what I do and love the music I make. My wife Catherine is amazing, and smarter than me in many ways. We support each other and work as a team to make sure that we are both healthy and going in the right direction. I am constantly reflecting on what I can do better, and, I hope, humble enough to look for help or mentorship when necessary. The arts in America or lack of can be depressing, but I have many ideas and the right attitude. I define success in many ways. Money is one, but not the only one and I think this has helped me keep a positive attitude. Great interview, Aaron – solid answers! A very informative interview, Aaron! I look forward to the CD! Thanks Leonard! I hope you are enjoying the music.